Left the “e” off of Noire…just wanted to see if you were paying attention. J. Herbin Perle Noire has been my go to black ink for the last few years. 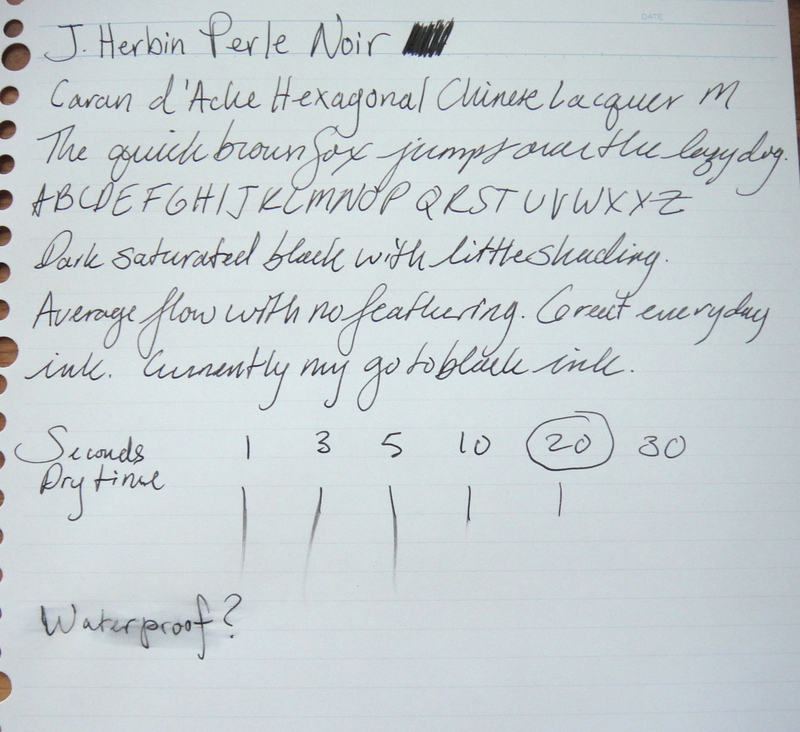 Perle Noire is a dark black ink that is very well behaved. There is not much in the way of shading and I have had no issues with feathering. The flow is average. Dry time is faster than normal and ink is not waterproof but I have read that is is water resistant. The ink did fade with drops of water but it did not completely disappear like other inks. The only ink that comes close is Aurora Black which may even be a slight bit darker, however, in my experience Perle Noir is better behaved. If you know of a better black ink please let me know.